How to pick a good tomato: some tips to make sure you get the best from the market, whether they’re Purple Cherokees or good ol’ beefsteaks. Why should you store tomatoes upside down? 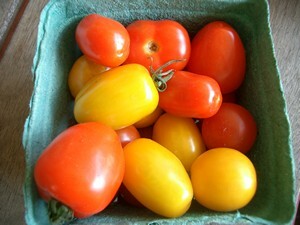 We all know not to store tomatoes in the fridge (kills the flavor), but did you know to store them on the counter, stem-side down? It keeps them fresher longer because the moisture can’t escape through the opening where the stem was. Peaches work this way too. 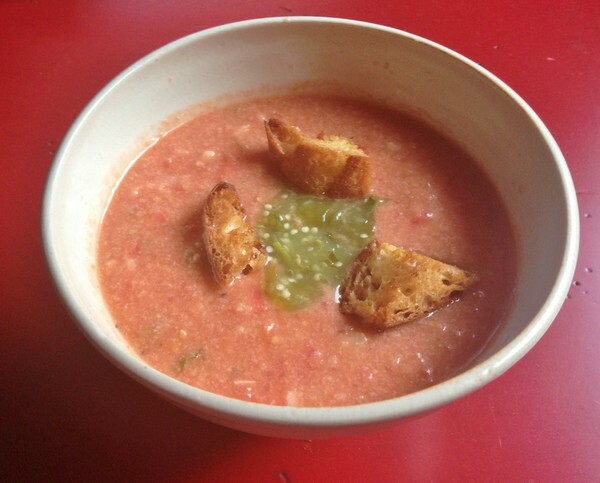 If you’re in the mood for soup, here are two very different but equally delicious recipes for gazpacho, smooth and chunky. My current fave is the smooth, but what about you? 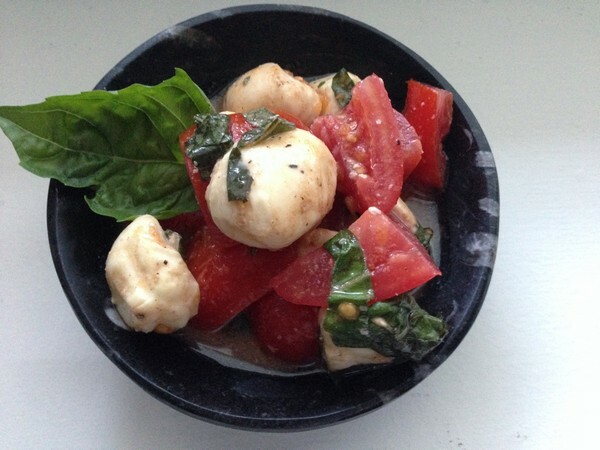 You know how to do the classic caprese – tomatoes, mozzarella and basil. If I can find good smoked mozzarella, that’s what I go for, although recently these little mozzarella balls have caught my attention. A drizzle of good olive oil, sea salt and maybe a splash of balsamic and you’re done! 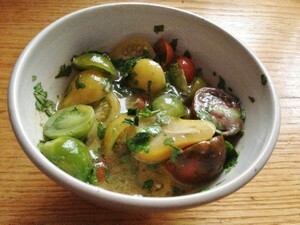 If you’ve got a plethora of cherry tomatoes, here’s a recipe for them, packing some heat. It’s simple and quick (and the Martha Stewart story with the recipe will make you smile). 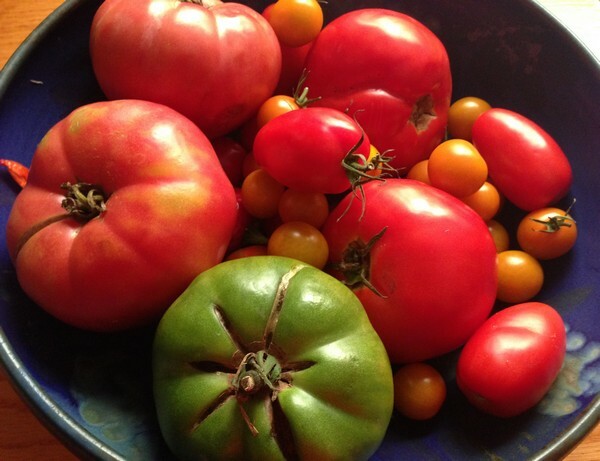 Still have a lot left, or some small heirlooms? This recipe from Ottolenghi is a little more complicated, but well worth the extra 20 minutes! Moving into main courses, but still using the cherry tomatoes, here’s a good, fresh pasta sauce that comes together in no time. And you can keep it simple, or dress it up, depending on your mood. One of my all-time favorite things to do with tomatoes, especially the biggies like the German Stripes I adore, is to stuff them. Any kind of sausage is good, and any size will work, but the really huge ones make a great presentation! To end, how about a pie? When I make a ratatouille pot pie it’s always a big hit with my friends (and worth turning the oven on for). When the Accidental Locavore has a mess of cherry tomatoes, or it’s winter and that’s the best you can do (tomato-wise), remember this salad. 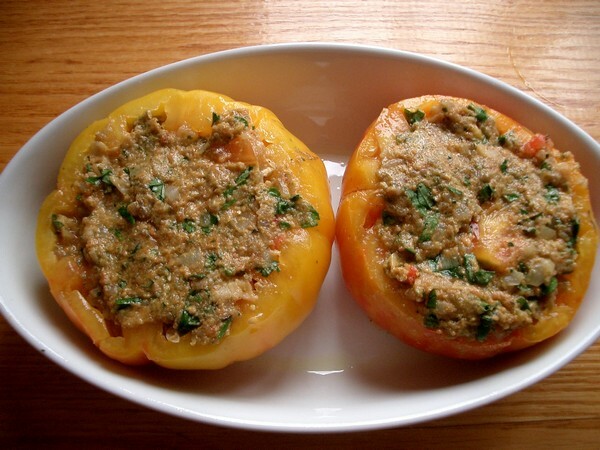 It’s an easy and good way to use a bunch of cherry tomatoes. Depending on your love/hate relationship with heat, use as much or as little cayenne and chiles as you like. Start off slowly and add more to taste. If you like cilantro, you can substitute it for the parsley, or do half and half. Serves 4. 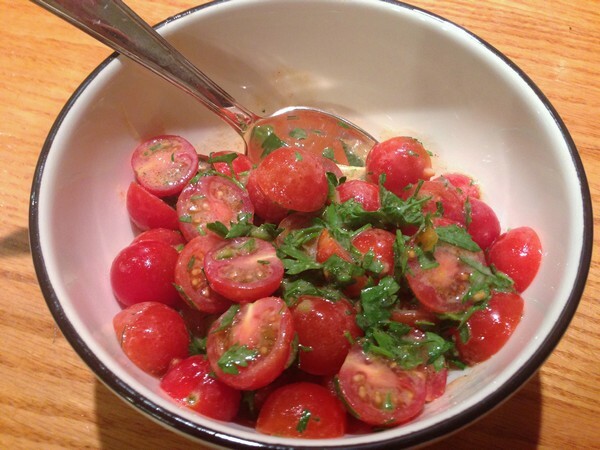 In a medium bowl, add the tomatoes, chile and parsley. In a small bowl, whisk the lemon juice, mustard, cayenne pepper, mustard, olive oil and salt together. Pour over the tomatoes and toss to combine. Serve and enjoy!